Brazil is the heart of South America – and this itinerary covers the best parts including some of the best gay nightlife. Starting in Rio De Janeiro you’ll find a vibrant city of colour. You’ll visit the beautiful Iguazu Falls as well as fun São Paulo. Add nature, culture, a great arts and party scene to gorgeous beaches and you will ask yourself: why have I never been? Arrive in Rio de Janeiro. Your driver will meet you and take you to your hotel. The hotel is gay-friendly and located in Ipanema, a less touristy neighbourhood than Copacabana and arguably the most charming and sophisticated. It’s located just a block from the gay section of Ipanema beach and with many good options of friendly bars and restaurants in the immediate neighbourhood. Today you’ll embark on a full-day tour of Rio’s highlights: Sugar Loaf, Corcovado and Santa Teresa. You’ll explore the world renowned Sugar Loaf mountain which offers incredible panoramic views of the city before heading to Corcovado to see the famous Christ The Redeemer statue that sits atop it. You’ll end the day in Santa Teresa, a quaint bohemian neighbourhood of Rio with colonial buildings and winding and narrow cobblestone streets. There are plenty of art galleries and restaurants to enjoy. The day is free for you to explore further. You could opt to take a morning walking tour of Downtown Historical Rio. This tour will give you a different image of Rio, as the first capital of Brazil is full of colonial history. In the evening, for LGBT guests we will take you on a tour of the local bar scene. The morning is free to enjoy Rio’s beaches on your own. In the afternoon we’ll transfer you to the airport for your flight to Iguazu Falls. On arrival, you’ll enjoy a private transfer to your hotel and two nights at the beautiful Wish Resort Foz do Iguaçu which includes breakfast and dinner. The world famous Iguazu Falls is a 3km-long wall of water inside a tropical rainforest on the borders of Brazil and Argentina. Surrounded by two National Parks, they call them the most magnificent waterfalls in the world and they are simply stunning. Today you’ll enjoy a full day private tour of the Argentinian falls. In the morning you will enjoy a private visit to the Brazilian National Park before transferring to the airport. Fly to São Paulo. São Paulo, home to the largest Pride Parade in the world, is the pulse of gay life in Brazil with a multitude of nightlife options, some of international reputation, and its own “gay village”. It is also a cosmopolitan city with great restaurants, museums and shopping. On arrival, private transfer to your hotel. Blue Tree Premium Paulista is located next to São Paulo Museum of Art, Paulista Avenue and the gay scene. In the evening for our LGBT guests you’ll enjoy an evening tour of the scene. The morning is free for you to explore before taking a tour in the afternoon of historical downtown and its museums. Transfer to airport. Fly to Florianopolis. Floripa, as the locals call it, is the darling of the South American gay community, who kept it as a secret for many years. 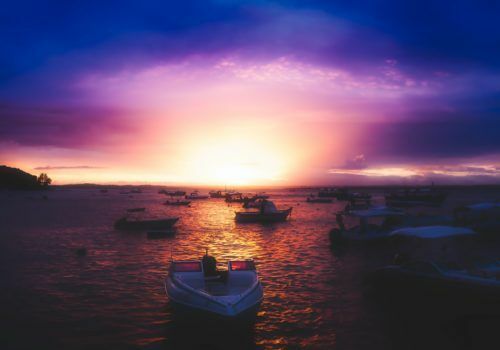 Located on an Island in the Southern Brazilian Coast it delights for its beautiful nature, Azorean culture and a surprisingly busy LGBT scene, including Praia Mole, the gayest beach south of Ipanema! On arrival, you will be met and transferred to Majestic Palace Hotel for a 3 night stay. Today you’ll embark on a full-day Azorean & East Coast Tour, exploring the beaches and history and stunning scenery the area has to offer. Immigrants from the Azores Archipelago settled along the Santa Catarina Coast during the 17th Century. In Florianopolis they founded small villages around the island where they survived from small-scale farming and cottage fishing. They left an important cultural inheritance in terms of architecture, culinary, folklore and a very particular accent that still keep alive expressions from Old Portuguese. Some of the villages they founded, the “Freguesias”, still have examples of the simple but charming architecture they brought to the island. These communities, with their peaceful atmosphere, are also ideal places to try the delicious local seafood. You’ll enjoy a seafood lunch in Costa da Lagoa as well as a return boat journey to Costa de Lagoa. The day is yours to enjoy the pool or to lie on a beach and relax. Santo Amaro, only 40 km away from the island, is the closest rafting base to Florianópolis. Rafting in the River Cubatão, with rapids class II-III, is ideal for beginners. The scenery along the river is beautiful: the right margin borders the Serra do Tabuleiro National Park, the biggest Atlantic Rainforest reserve in the vicinity of Florianopolis. Florianópolis in recent years became the centre for oyster production in Brazil. The old Azorean fishing village of Ribeirão da Ilha is one of the main areas for oyster farming on the Island. We combine a trip to one of the local farms with a short trek to one of the most beautiful beaches on the Island to make a full day trip of light adventure and gastronomic experience. After breakfast and when you’re ready we’ll take you to the airport for your onward flight.